Over the next few weeks, I'm going to make six different pasta dishes — all using Banza chickpea pasta. Let me start by saying that I am in no way being paid by Banza. As previously discussed many times here, the only payment I receive from this blog comes from my generous patrons at Patreon. I do not receive ad revenue or sponsorship. All the money I receive comes from people like you who decided to donate $1-5 a week. In return they receive perks like access to patrons-only posts that go beyond what's here on the blog and have the opportunity to request blog content. If you're interested, please check out patreon.com/kristenforbes. Although Banza is not paying me, they did send me something nearly as good as payment: free samples of their product! I was more than happy to receive a case of six pastas from them. I again want to say, though, that I am not being paid and I do not feel obligated to say nice things about this pasta simply because it was provided to me free of charge. If I tried it and didn't like it, I would have quietly thanked them and said nothing about it on the blog. But here's the thing: I tried it and I really liked it. 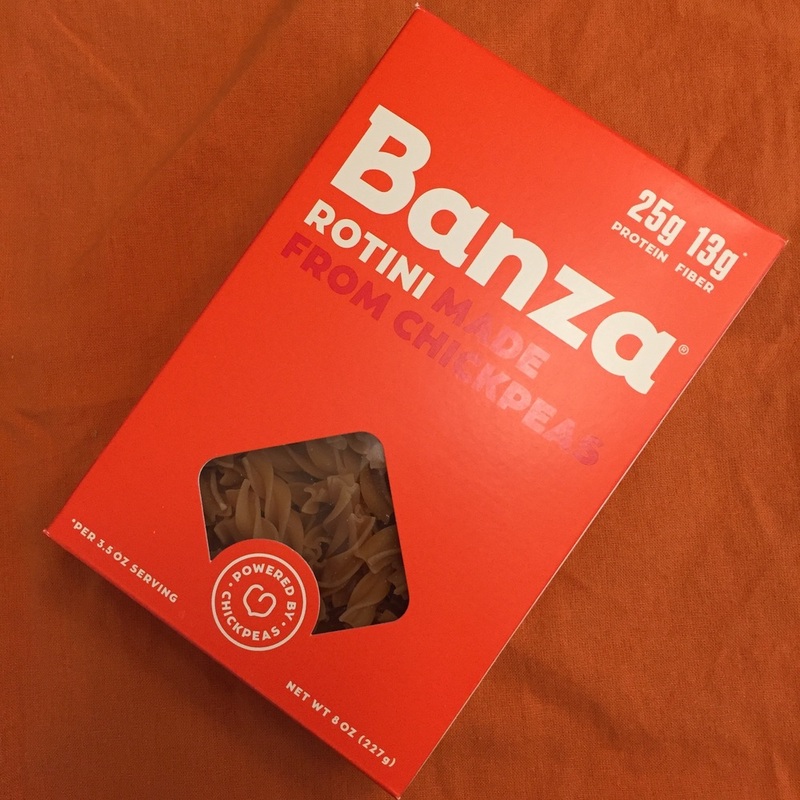 In part to say thanks for sending it to me but in bigger part to tell you all about something I thought was straight-up yummy, I'm going to share my experiences with Banza here. For my first foray into the world of chickpea pasta, I wanted to make a ridiculously simple dish to make sure I didn't confuse recipe frustration with pasta frustration. I turned to something I've made again and again over the years because I love the recipe's simplicity, flavor, and super short prep time. I've made this one so many times I consider it a classic. It's the 15-Minute Creamy Avocado Pasta from Oh She Glows. (By the way, I am definitely not affiliated with Oh She Glows, but I love the recipes.) This is one of those dishes that couldn't be simpler. 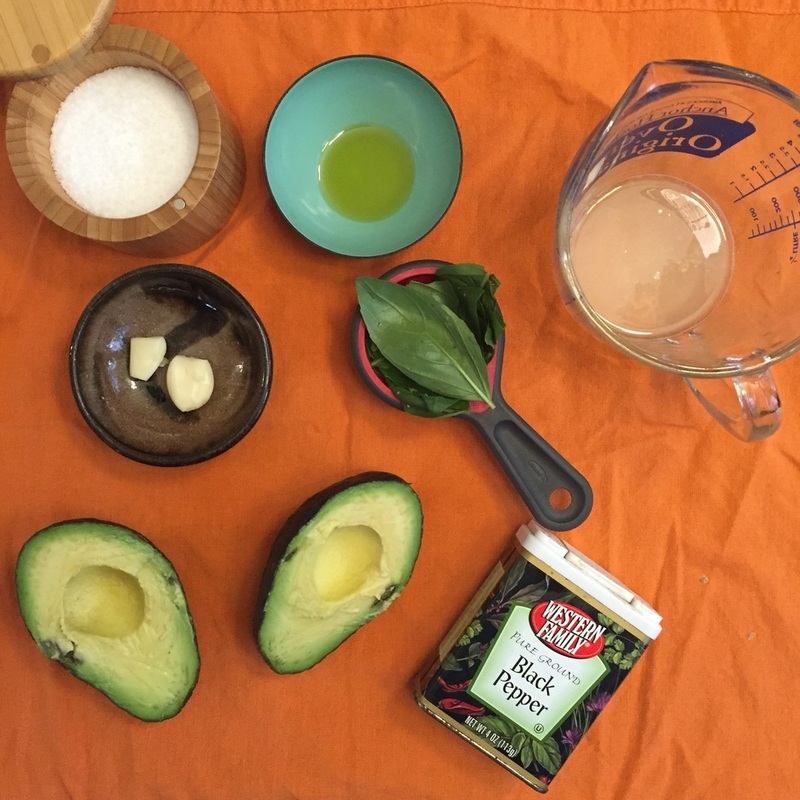 All you need is pasta, avocado, lemon juice, basil, garlic, olive oil, salt and pepper. It turned out I had all the ingredients on hand except the basil, which I bought fresh at a Farmers Market hours before making this dish. Just to reiterate how amazingly simple this recipe is: all you do is cook the pasta and throw all the other ingredients in a food processor. That's it. Look how creamy that sauce turns out. So as I mentioned, I've made this recipe many times before — but always with whole wheat pasta or a few times with zucchini noodles (sorry guys, I can't bring myself to call them "zoodles" like everyone else. They are zucchini noodles. While we're at it, a best friend is a best friend and not a "bestie" and "totally" does not need to be condensed to "totes" and I think we can all manage "adorable" over "adorbs." But I digress.) My original point is this: I've made this recipe enough times to know how it's supposed to taste. If the pasta made it taste different, I would have known right away. The process of cooking chickpea pasta was the same as cooking any other kind of pasta. While it was boiling in the pot, the chickpea pasta looked exactly like ... any other pasta. We can all agree that as appearances go, this pasta is distinguishable from any other, am I right? Here's where I messed up slightly. After draining the pasta, I neglected to rinse it as instructed on the box. We all already know I thought the overall result was delicious (hence an entire blog post about it), but I will say that I'm going to be sure to rinse the pasta next time I use it because it had a slight gummy starchiness to it — not enough to turn me off the dish by any means, but slightly there. I don't think this was the pasta's fault, though. I think this one can be chalked up to user error. Look how creamy and green the final product is. The next time I make this, I think I'll add some peas for an even brighter pop of green throughout. A little fresh basil on top and voila: dinner is served. You guys, this was really good. I know it looks just like pasta, but guess what? It also tastes just like pasta. If I was serving this to someone without mentioning what it was, I don't think there's any chance in the world they'd ask if it was made from chickpeas. It simply tastes like pasta. 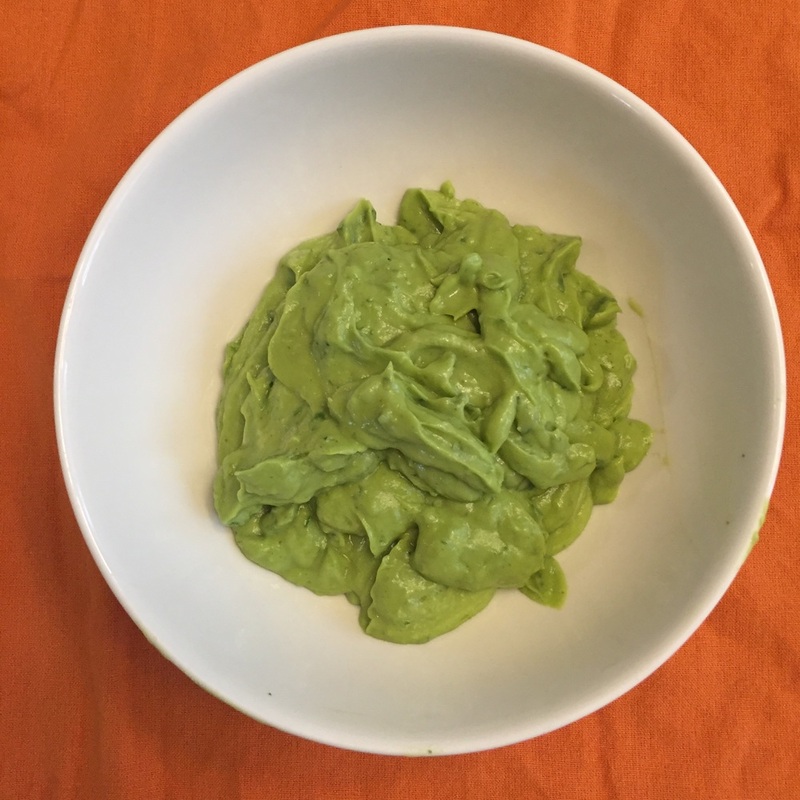 With this creamy avocado sauce, it was perfection. Let's get into what this pasta actually is (Again remember I'm not at all paid for this — just sharing the info). Banza ingredients are chickpeas, tapioca, pea protein and xantham gum. Banza is vegan, gluten-free, soy-free, nut-free and egg-free. A 2-ounce serving contains 14 grams of protein and 8 grams of fiber (as well as 30 percent of your daily iron, which is great news for someone with anemic tendencies like me). A 3.5-ounce serving (which is in line with what most Americans eat) contains 25 grams of protein, 13 grams of fiber, and 43 grams of net carbs (plus 50 percent of your daily iron, whoo hoo!). Average pasta per 3.5-ounce serving contains 13 grams of protein, 3 grams of fiber and 71 grams of net carbs. 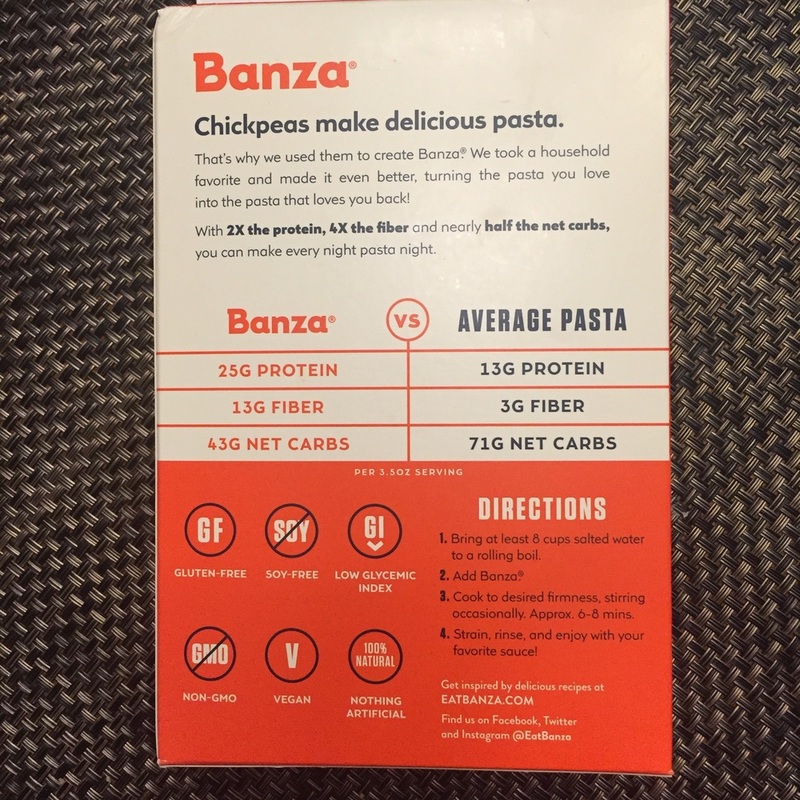 So in the end, Banza pasta contains two times the protein, four times the fiber, and half the net carbs. This makes it a much more filling and light choice than regular pasta — and it tastes just as good. This would have worked perfectly well as a main dish, but we wanted to take advantage of the warm weather and do some grilling as well. 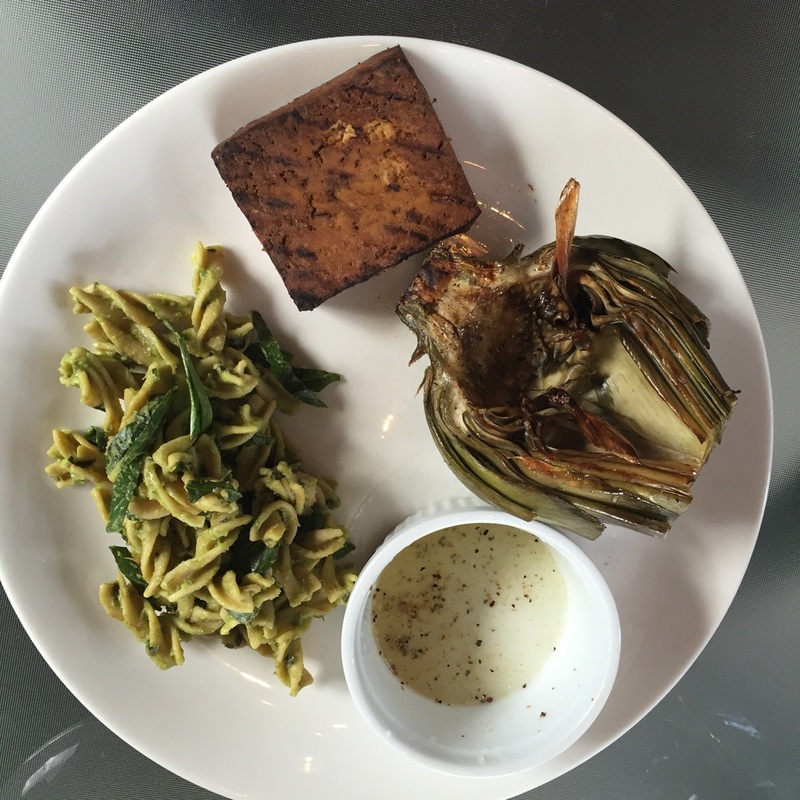 We both had grilled artichokes, Mike had grilled steak, and I had grilled tofu. 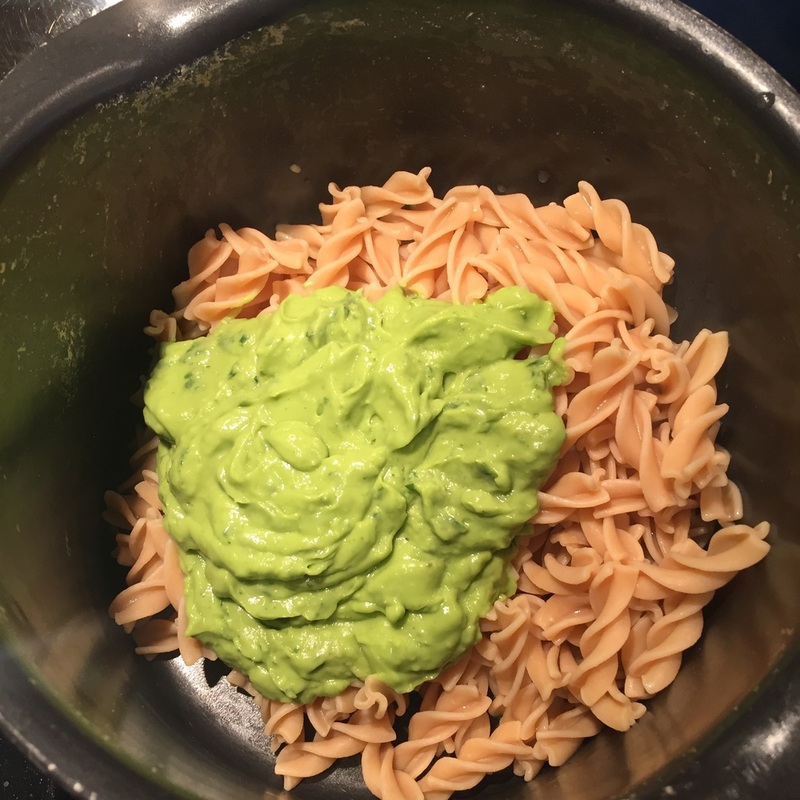 Combined with the avocado pasta, it ended up being an incredibly tasty and satisfying meal. I can't wait to try more recipes with my remaining five boxes of Banza. In the meantime, I'm eating the leftovers for lunch and still loving every bite.